Breslover Pendant . 1" Diam. Breslov, also known as Bratslav and also spelled Breslev, is a Hasidic Judaism movement founded by Rebbi Nachman of Breslov. Rabbi Nachman is the great-grandson of the (Ha) Baal Shem Tov, founder of Hasidism. Its adherents strive to develop an intense, joyous relationship with God and receive guidance toward this goal from the teachings of Rebbe Nachman. Be happy to be part of the Breslovers. 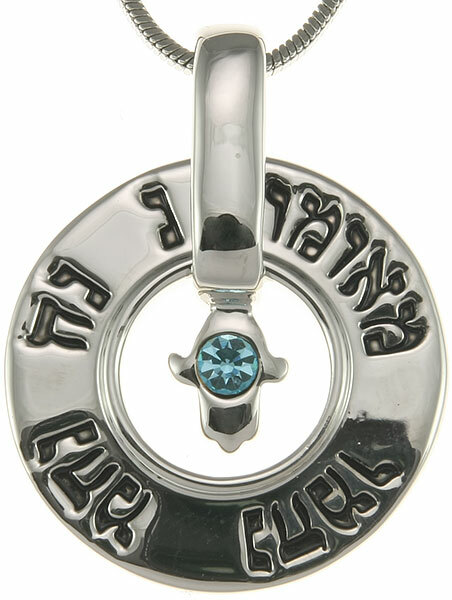 Genuine Naomi Jewelry pendant. Comes with a chain. Shipped with love and care. Comes in a beautiful gift box.